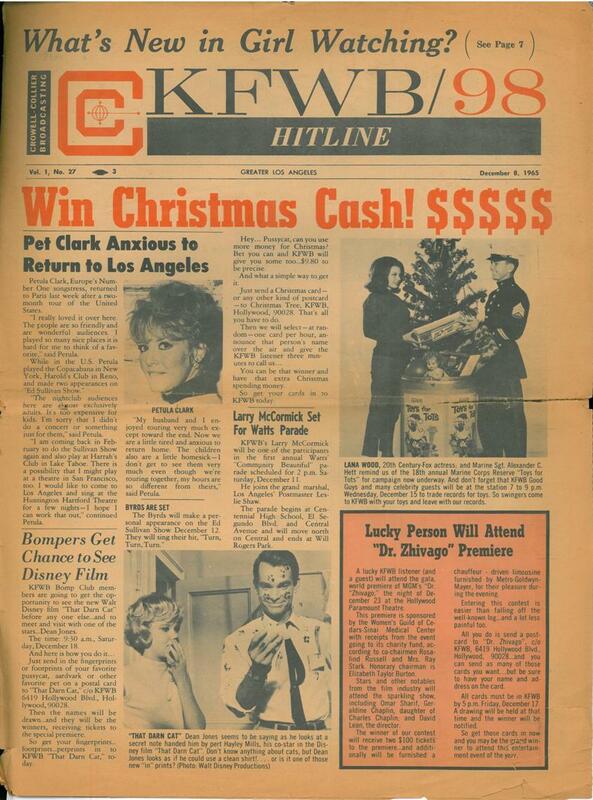 Los Angeles radio station KFWB, since 1968 news/talk radio, was in the 60s a Top 40 radio. 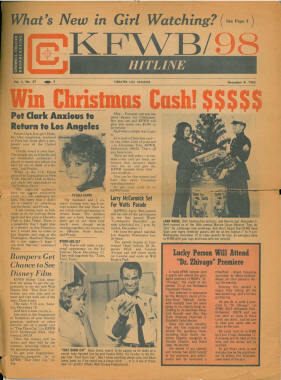 In 1965 the weekly newspaper KFWB/98 Hitline was launched. Next to the article are two photos. The 1st picture is Mothers at Whisky A Go Go - Ray Collins, Henry Vestine, Frank Zappa and Roy Estrada. 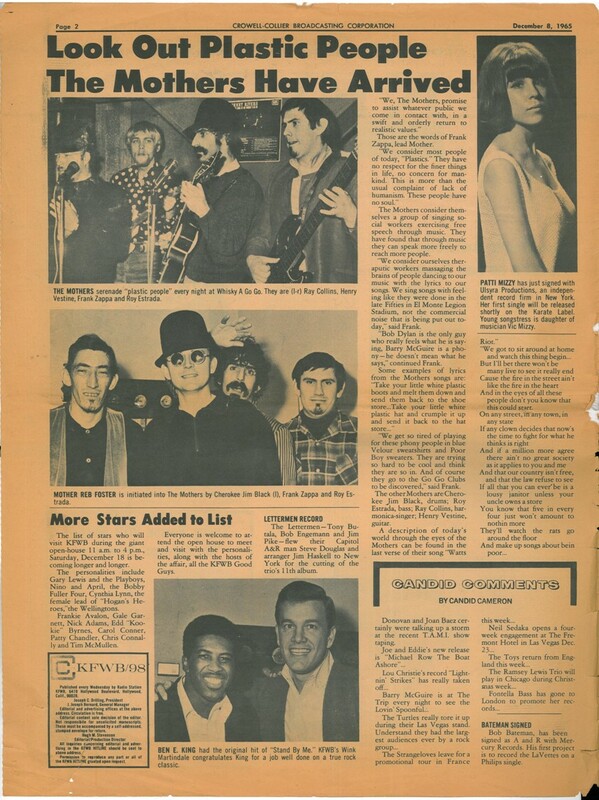 On the 2nd picture are FZ, Jimmy Carl Black and Roy Estrada with KFWB DJ Reb Foster (who later managed Three Dog Night, Turtels and Steppenwolf).